Whenever I talk to foreign travelers who are interested to travel to the Philippines, I always recommend seeing Banaue Rice Terraces. It will surely be a challenge before you get to reach the destination, but I am sure it will be worth it. 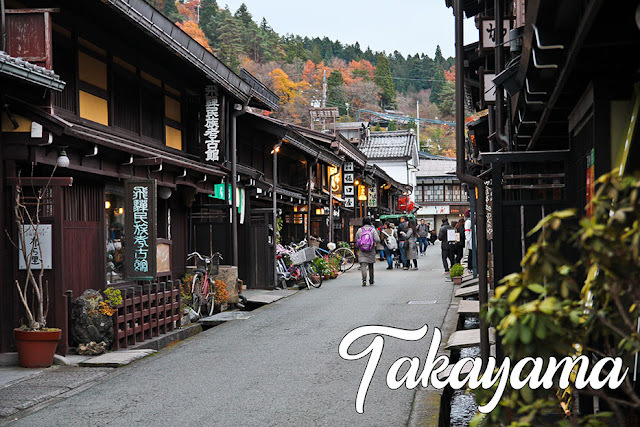 However, access to the Internet and new online businesses provides opportunities for more tourists to travel with ease. 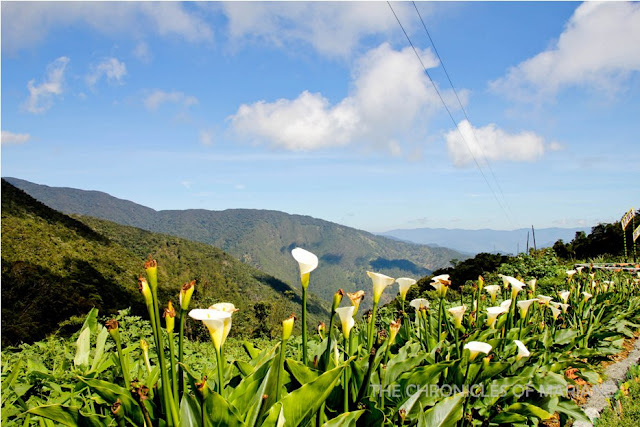 In this trip to the Cordilleras, I joined a tour group for three days and only managed to spend 3,000 pesos without even worrying about the logistics and other details. It’s not the usual group tours (like what we joined for our HK trip) since it was only with a small group so we weren’t too restricted with the time and I had a nice time getting to know my travel group. 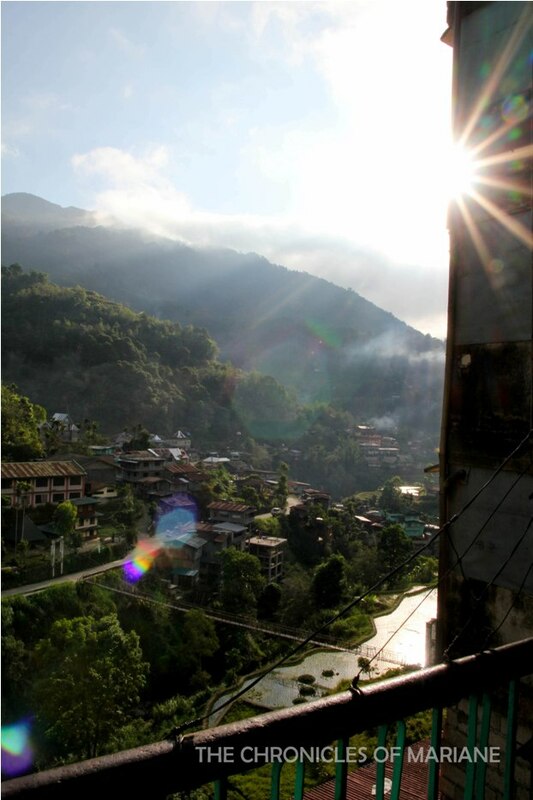 I finally joined my travelmates after spending a tiring yet fulfilling day at Batad, they met me up at Banaue for breakfast, then we headed to our first stop for the day. I admit it was a little bit awkward, since most of the people from the group had companions and knew each other, I was alone and didn’t know anybody. It was a good thing our tour guide was very friendly so he was able to bridge the gap. 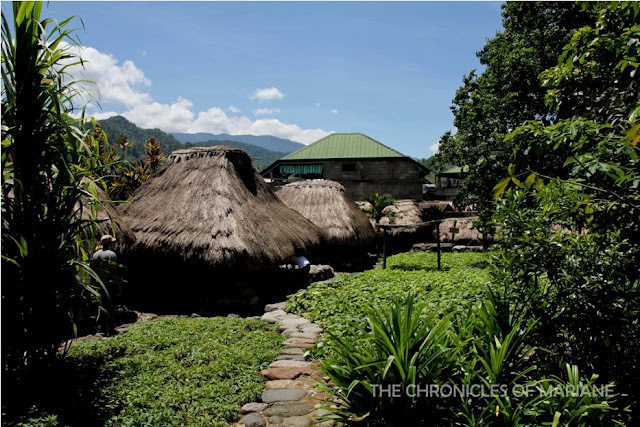 Anyway, as soon as we reached the viewpoint to Banaue Rice Terraces, I felt at ease with the group and it was like chilling out with my cousins and friends. 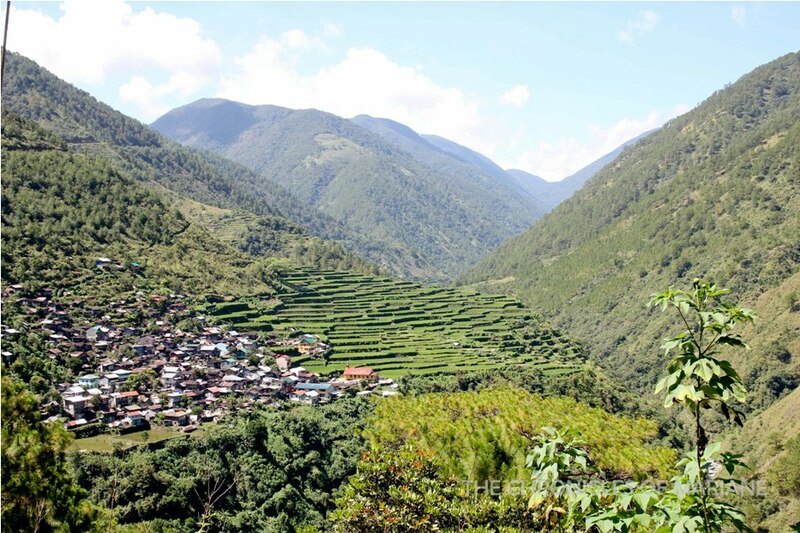 The Hagdang Hagdang Palayan ng Banaue or Banaue Rice Terraces are rice terraces built by the indigenous people of Ifugao that are said to represent the steps going to heaven. 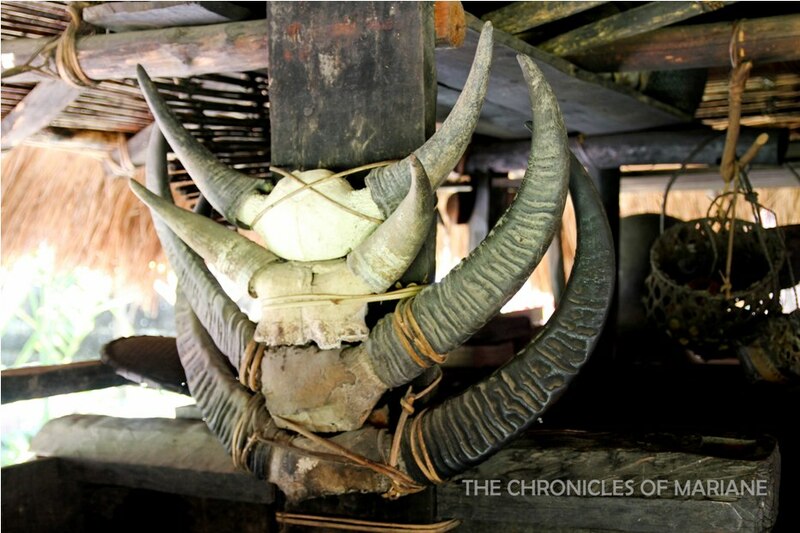 It is said to be over 2,000 years old, constructed and meticulously carved by hand. Traditional irrigation is still in practice, water is sourced from the nearby rain forests. Declared as a UNESCO World Heritage Site, it is also famously regarded as the “Eighth Wonder of the World.” It was April when I visited a couple of years back and this is said to be one of the prime months to visit the terraces as the crops were lush green in color and the weather was perfect. The months of June and July are dedicated for harvesting, while February and March for planting. 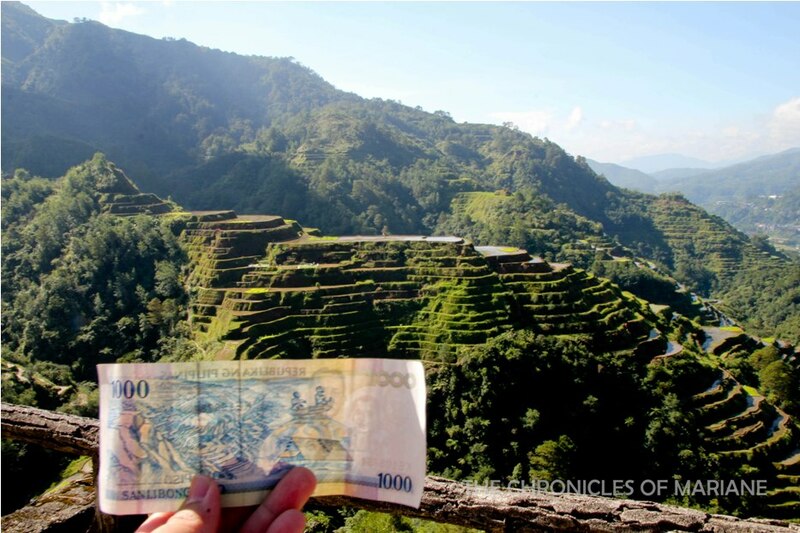 We were directed to Sunrise Viewpoint where it is said to provide you the same view similar to that in our 1,000 peso bill. It was also a good place to catch the local Igorots sporting their customary clothing chewing moma and hanging out with tourists. 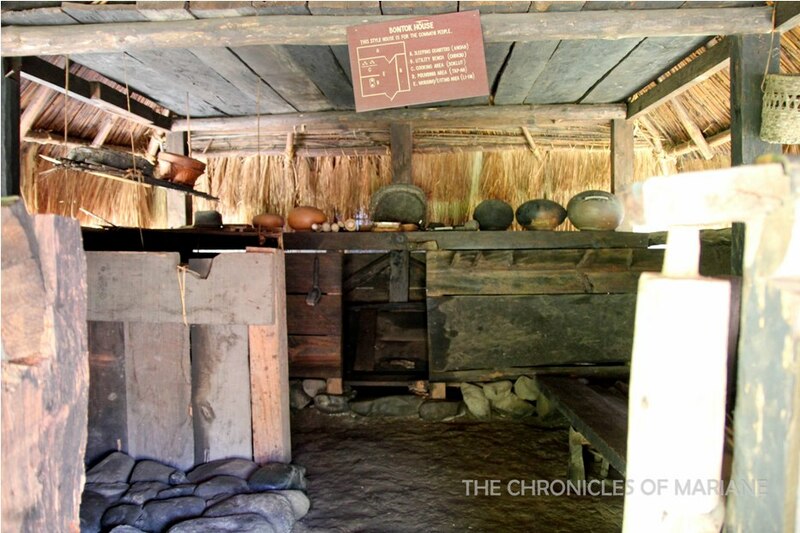 There were also some stores selling souvenirs such as wood works and Igorot weaving. 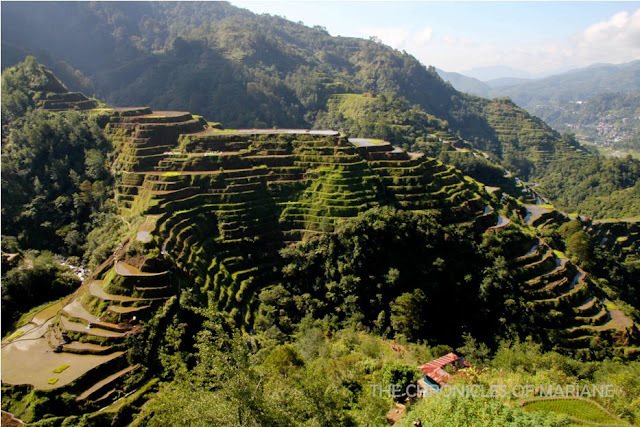 Sad to say, I had no way of knowing whether we were allowed to walk along the pathways or the terraces (I saw some people before in Batad doing so) since we only stayed at the viewpoint. 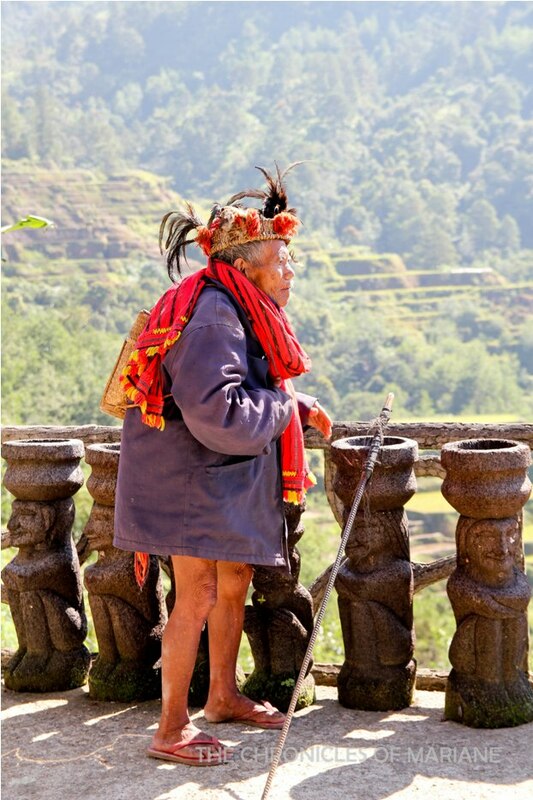 However, despite seeing its grand beauty in front of me, I was made aware of the recent difficulties the government and local farmers are facing trying to keep the rice terraces and its culture alive. For one, is the usual problems most farmers are facing now such as the effects of El Niño. 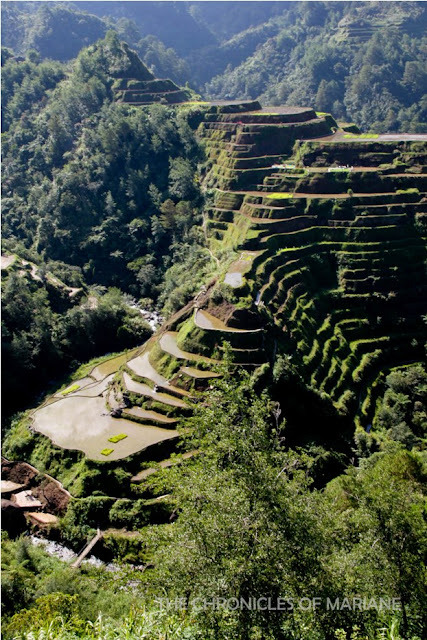 It is also reported that the rice terraces needs some reconstruction due to gradual erosion and drought. I also remembered watching a TV documentary about the passing of practice of the older farmers to the younger ones, however, the new generation of Igorot are opting to work in neighboring cities such as Baguio or even in abroad as they would prefer less physical demanding work. Some would also decline to inherit this local tradition, thinking that consumers now prefer the cheaper rice import rather than the rice harvested in the terraces. on the way to Bontoc..
At this point, I was not familiar that there are different clusters of rice terraces around Ifugao and Mountain Province. I was surprised when our van went to a halt in an almost deserted road. Our guide then told us to get off and he’ll treat us to a surprise. And for sure, I didn’t expect that we’d get to see a different set of rice terraces hidden in these mountains! 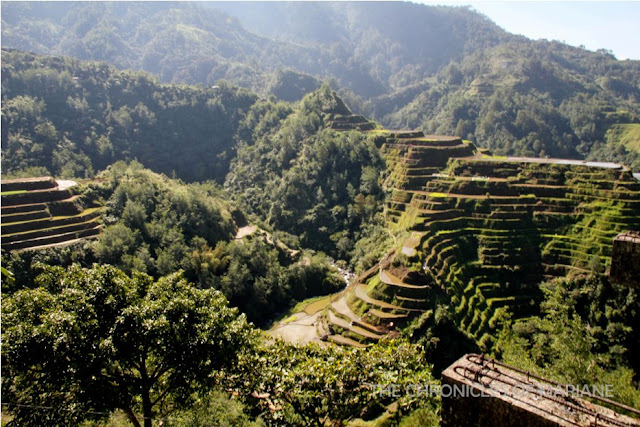 We were told that this cluster is called Bay-yo rice Terraces, another beautiful section of the rice terraces in this province. On our way to Sagada, we decided to stop over at Bontoc that houses another cluster of rice terraces called Maligcong, but sadly, my tour group was not scheduled to see that so I’d have to visit Bontoc again on a separate trip. Nevertheless, I was able to learn more about the colorful culture and traditions of the people of Cordillera at Bontoc Museum. 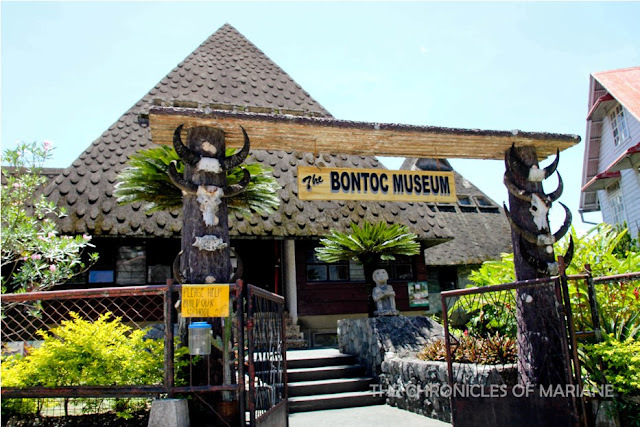 The ethnological museum started as a small assortment of gifts from Bontoc locals to Sister Basil Gekiere that eventually blossomed to be a vast collection of artifacts that detail the life of the different communities in this region such as in Kalinga, Apayao, Ifugao, Benguet, and Mt. Province. 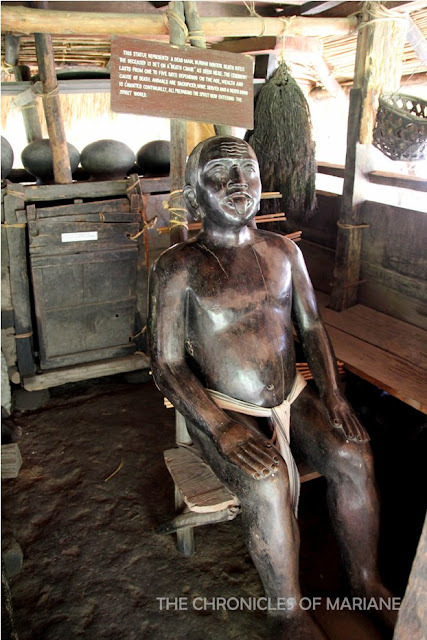 We were able to see historical artifacts such as pictures, musical instruments, ritual objects, wooden statues, clothing and textile, and tools used by headhunters. 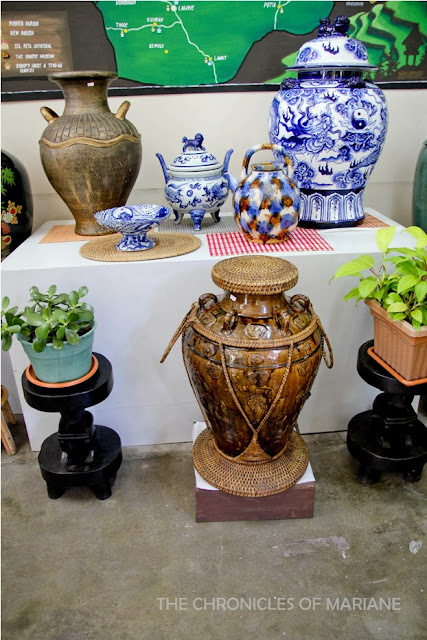 We were prohibited to take pictures inside because of the local belief that spirits still reside in these items and we must leave them untouched. 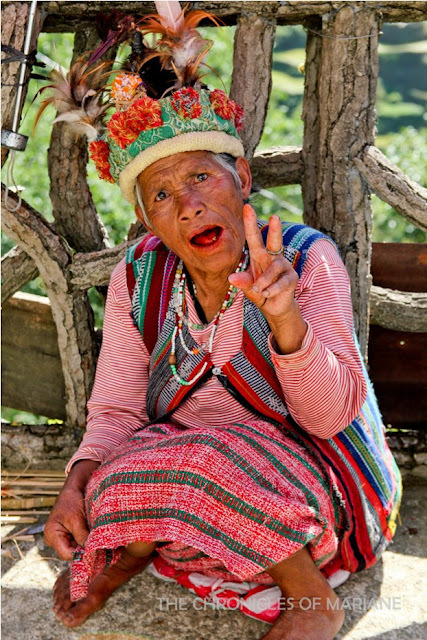 I got really hooked looking at photographs that illustrate the village life and the headhunters complete with elaborate tattoos. They also have an outdoor museum wherein there is a replica of how an old Bontoc village would look like, it’s even complete with residential huts and rice granary. 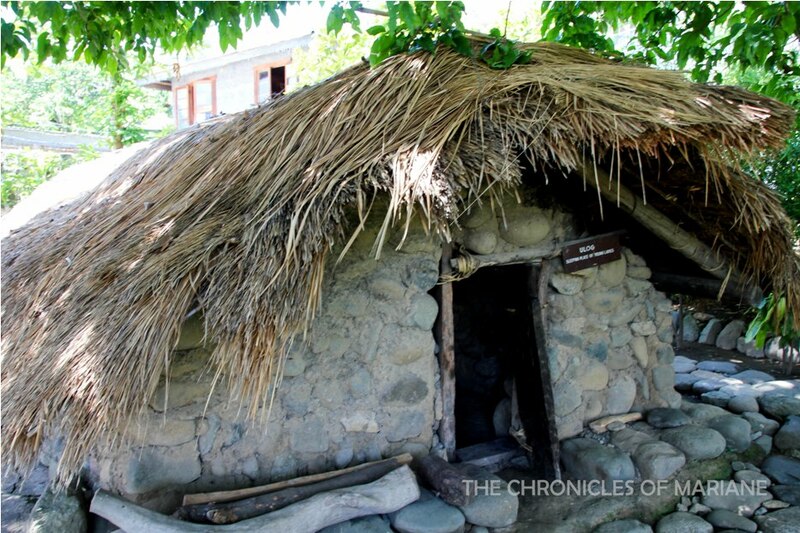 We were allowed to go inside these, I wondered if we would even fit because the houses looked so small, but it is built with the Filipino height in mind and the area inside was actually spacious. What a tiring yet eventful day! After Bontoc, we were headed for Sagada to continue our exploration! 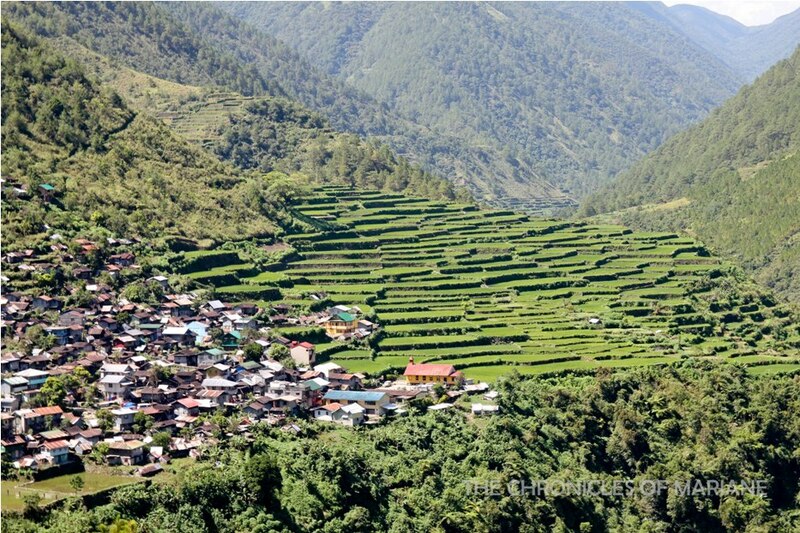 I also saw Bay-yo Rice Terraces while on the way to Sagada from Batad and it was beautiful. How I wish I had asked the driver to slow down!